Flexibility- it gives businesses using cloud computing a real advantage over competitors. Automatic software up gradation- so you need not worry about wasting time maintaining the system yourself. Cost cutting- cloud computing cuts out the high cost of hardware. You enjoy a subscription-based model. Real time updates- your teams can access edit and share documents anytime, anywhere. Security- loss of data can cause a big problem, but with cloud computing your data is stored in the cloud and is accessible from any device. In 2016, developers will have full advantage of the new offerings and technology optimized to operate within cloud environments. Since cloud technology is the future, it makes sense to adopt a cloud based ERP solution. It also acts as a starting point for integration of more cloud based solutions. When you are considering an ERP system for your business, chances are high that you're being bombarded with choices. As you consider your options, one of the most important decisions you'll have to make is whether to select a cloud-based ERP solution or one that's installed locally. The difference is that on-premise ERP solutions are locally installed on your company's hardware and servers, while cloud ERP—also called SaaS (Software-as-a-Service) —is provided as a service itself. With this type of distribution, a company's ERP software and its associated data are well managed in the Internet "cloud" by the ERP vendor and are accessed by customers using a web browser. Make a Thorough Assessment - Upgrading to a cloud ERP system is a big step. Conduct an internal audit of your systems. Note down their shortcomings. This list will help you assess your needs from a cloud ERP system. Preferably, look for a full-suite with in-built Business Intelligence. 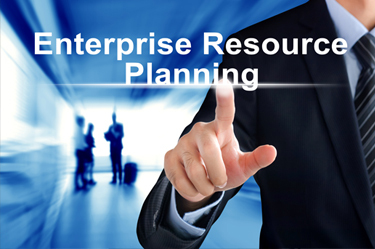 Conduct Market Research on Product - There are many cloud ERP systems in the market. Narrow down your choices according to your company's needs. Conduct Market Research on Vendors - The right vendor is as important as the product. Prepare a list of vital questions to ask each vendor, and conduct a stringent selection process. Get Licensed - Some vendors provide additional services that let you get licensed to operate the product. This saves a considerable amount of capital. Make a Decision Together - Involve relevant authorities in your final decision and select the right product and vendor. Undoubtedly, cloud ERP is a superior product to traditional ERP systems, and companies who aim to grow and have worldwide operations should consider this product.